Help UMBC provide the best event possible! 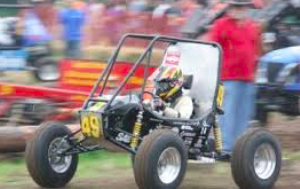 The Baja SAE® event held April 19-22 in Mechanicsville, Maryland, consists of competitions that simulate real-world engineering design projects and their related challenges. Engineering students are tasked to design and build an off-road vehicle that will survive the severe punishment of rough terrain. The object of the competition is to provide SAE student members with a challenging project that involves the design, planning and manufacturing tasks found when introducing a new product to the consumer industrial market. Teams compete against one another to have their design accepted for manufacture by a fictitious firm. Approximately 100 university teams from the US and internationally will be coming to Maryland to participate in the Baja SAE Maryland event. UMBC hosted the event in 2015 and received an unprecedented 98% approval rating. Our goal is to repeat that performance and with your help, that will become a reality! Your gift today will help provide much needed resources to provide the best event possible for UMBC students and visiting students. All gifts from UMBC alumni will be matched, up to $5,000, thanks to a special gift from Dean Keith Bowman of the College of Engineering and Information Technology.